We can arrange all transfers as requested. Please let us know your arrival and departure details. Boarding time is usually on Saturday at 17:00 and return time is usually on Saturday at 09:00. Allow a couple of hours for boat briefings. Please refer to our charter contracts for details. Cellular signals reach most all the islands. A local SIM card can be purchased the Post Office, Airport or Grocery Stores. Visa, Master Card and American Express are commonly accepted throughout Croatia. The local currency is Croatian Kunas and can be exchanged at the airport, banks and available from local ATM’s. A dinghy is provided with each bareboat charter. Outboard engines are available for a small additional fee. For diving you need a divers license. Tanks and Snorkel gear can be organized through a local dive shop close to the marina. Please provide us ample time prior to your charter to fulfill any requests. All bareboats will have a 12v outlet. Gulets and land based facilities are 220v. We can help organize any of your shore-side requests. 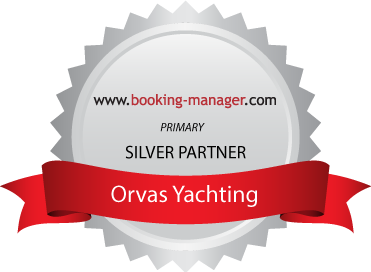 Orvas also owns several of their own hotels and villas throughout Croatia and the islands. Hire a skipper for a day or a week to help teach you the ropes! Please request this service well ahead of your charter. It is always best to carry your passport. Orvas has a basic provisioning package and our staff is always available to help with special requests. Please complete your provisioning requests a couple of weeks ahead of you charter dates. A valid Sailing certificate and radio operators certificate is requested for bareboat charters. One or both are available at extra cost for any number of days. All local taxes are included in prices.